Auberge de la Place Royale offers accommodation in Montréal. Each room is equipped with a TV with cable channels. Some units include a seating area where you can relax. You will find a coffee machine in the room. All rooms include a private bathroom fitted with a bath. Extras include free toiletries and a hairdryer. 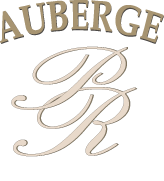 Auberge la Place Royale features free WiFi throughout the property. Notre Dame Basilica Montreal is 100 metres from Auberge de la Place Royale, while Place Jacques Cartier is 400 metres from the property. The nearest airport is Montreal-Pierre Elliott Trudeau International Airport, 16 km from the property.